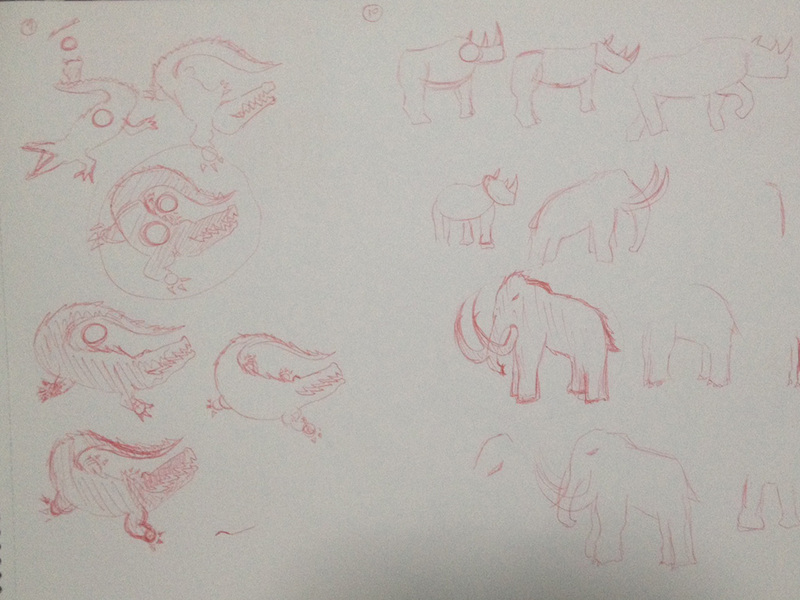 This week we have the last of the beast creature sketches. Left is the crocodile and right is the mammoth. Originally it was a rhino but not only was the art not working, it also seemed unfitting to make the rhino the most powerful normal beast creature. Did some more self testing and the game went quite well I reckon. There were decisions to be made whether to save cards or use them now. There were decisions of what creatures to play by guessing how the opponent would react in their next turn. I found it quite fun. Though another game I found the anti-come back cards ruining the game a bit so I gave them a little nerf. More testing will see how these changes go. What’s next: the usual, more art, more testing.